Hey there, Heather here again. Today’s In My Mailbox is partially brought to you by the awesome Groupon deal they had going with Barnes and Noble a few weeks ago: pay $10, get $20 to spend at B&N. So with my printed Groupon in hand, I headed out to my local B&N with my two year old in tow to find a few gems that don’t involve Thomas the Tank Engine. So I dropped him off in the Children’s section with my mother and what do you know, the YA section is right next to the kids’ books. Since my son likes to make a break for the exit and leave a trail of destruction in his wake, I perused a table of YA books so I could drop everything to tackle him like a linebacker if need be. And what do you know, I got two books from this table before he ran amok! First up, the immense thickness of this book (almost 800 pages) and the understated cover called my name. 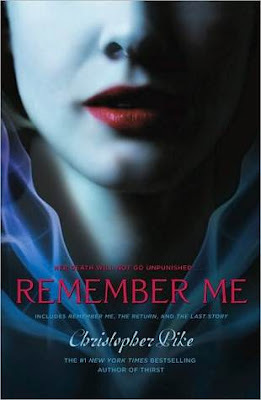 This compilation includes three books: Remember Me, The Return, and The Last Story by Christopher Pike aka Kevin McFadden. These books were published between 1989 and 1995 and the description from Goodreads has me very interested in reading this series. Plus, I saw the $9.99 price tag and screamed “Sold!” in my head. But I won’t be lugging this to work with me on the train, way too thick. Shari Cooper wakes up dead. The last thing she can remember is falling from a balcony during her friend’s party. Her death has been ruled a suicide, but Shari knows she was murdered. All of her closest friends are now suspects. As she tries to find her killer from the other side, she discovers her friends may not have been so loyal to her after all. Now, Shari is not just out for justice, she’s out for revenge…. The next book I picked up from the YA section of Barnes and Noble was Generation Dead by Daniel Waters. All over the country, a strange phenomenon is occurring. Some teenagers who die aren’t staying dead. But when they come back to life, they are no longer the same. Feared and misunderstood, they are doing their best to blend into a society that doesn’t want them. The administration at Oakvale High attempts to be more welcoming of the “differently biotic.” But the students don’t want to take classes or eat in the cafeteria next to someone who isn’t breathing. And there are no laws that exist to protect the “living impaired” from the people who want them to disappear—for good. 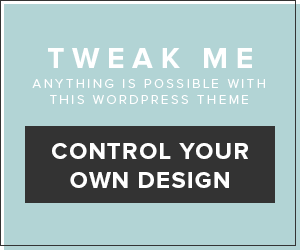 What drew me to this book? First of all, it has zombies so I’m there. And what’s better than reading about zombies forced to attend high school even though they’re reanimated? (Vampires that still go to high school? cough) The cover looked pretty cool so I bought it after reading the description. Since this book was published in 2008 and there are two more books in the series already out, I won’t have to wait for the new ones. I finally wrangled my son, who was trying to help someone pick a book in another section of the store, up towards the front to pay and I got hit with the bargain racks. These books used to be my only source for what to read since (a) I’m cheap and (b) I only had one book reading friend to consult for new reads (And she stears clear of the YA). I recognized the author’s name from previous reads, so I picked this next while we waited in line. 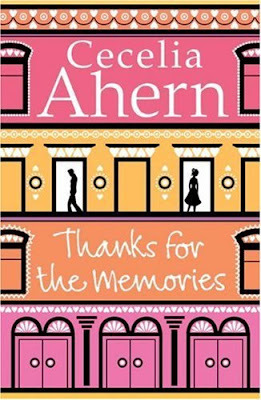 I loved the book P.S., I Love You by Cecelia Ahern (Another one where the book was much better than the movie, even with Gerard Butler in it) so I picked up Thanks for the Memories. – $14, not too shabby. 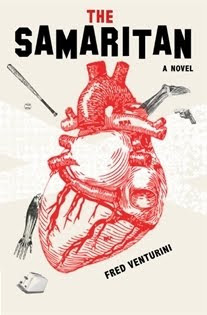 Finally, I got an ARC of The Samaritan by Fred Venturini in the mail from Blank Slate Press. Dale Sampson is a nobody. A small town geek with an ailing mother and a father who skipped town, Dale lives in the shadow of his best friend Mack, the high school baseball star. While Mack is racking up one female conquest after another, Dale can’t even gather the courage to talk to a girl. Then, just when he thinks there’s a glimmer of hope for his love life, he loses everything. THE SAMARITAN is a searing and often brutally funny look at the dark side of human nature. It lays bare the raw emotions and disappointments of small town life and best friends, of school bullies and first loves, of ruthless profiteers and self-aggrandizing promoters–and of having everything you know about human worth and frailty questioned under the harsh klieg lights of fame. This book looks really good and there’s supposed to be a twist in the middle. It doesn’t hurt that it is set in small town Illinois for part of the book, a place I intimately know having grown up in a central Illinois town of 2500 people. So there’s my mailbox for the past few weeks. 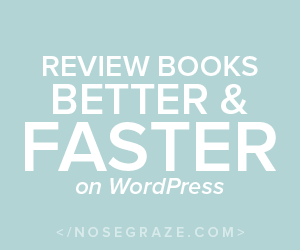 Have you read any of the books that I bought or even the one for review? What did you get in your mailbox? 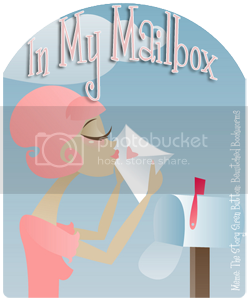 In My Mailbox – Pushy’s In The House!